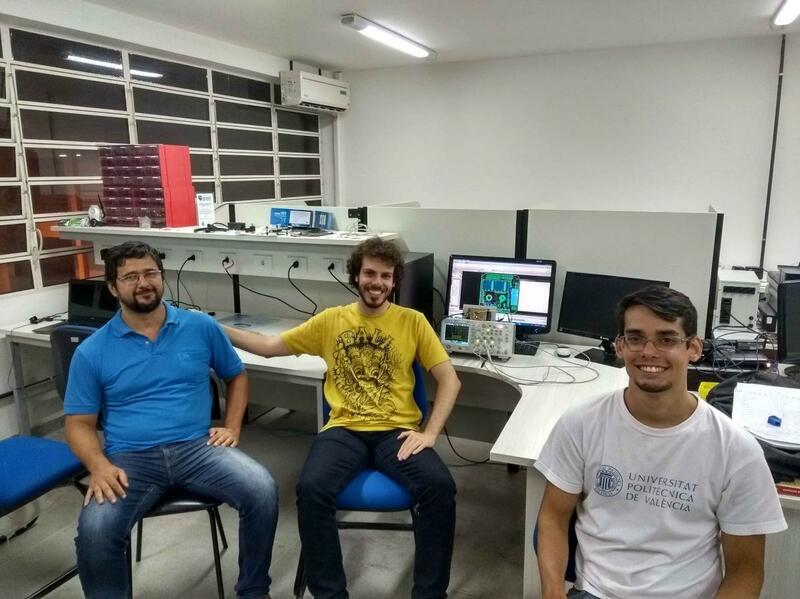 After a while talking about Phase Noise, Noise Figure and S-Parameters, we have finally incorporated a new term in our dictionary: bits! 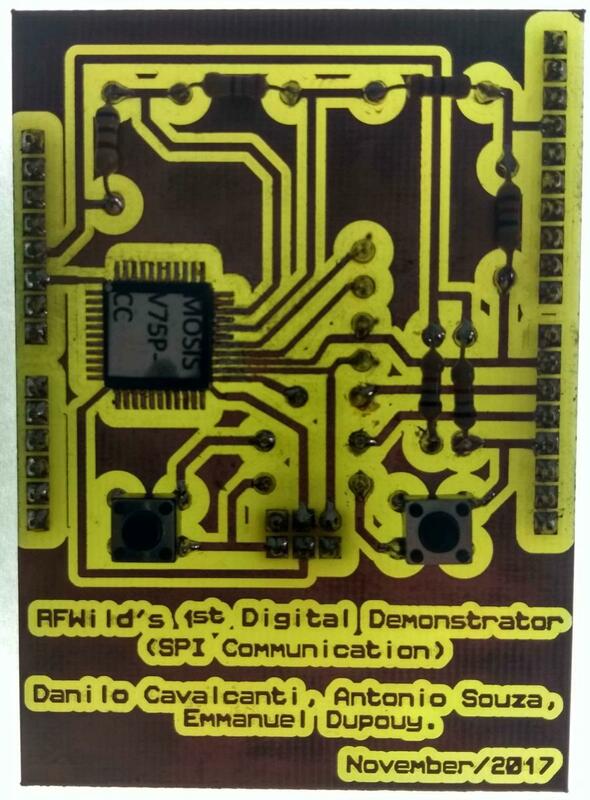 RFWild succeeded in its first Digital IC, an SPI Controller completely synthesized from a high level System Verilog description. 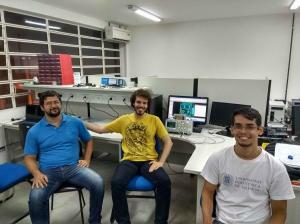 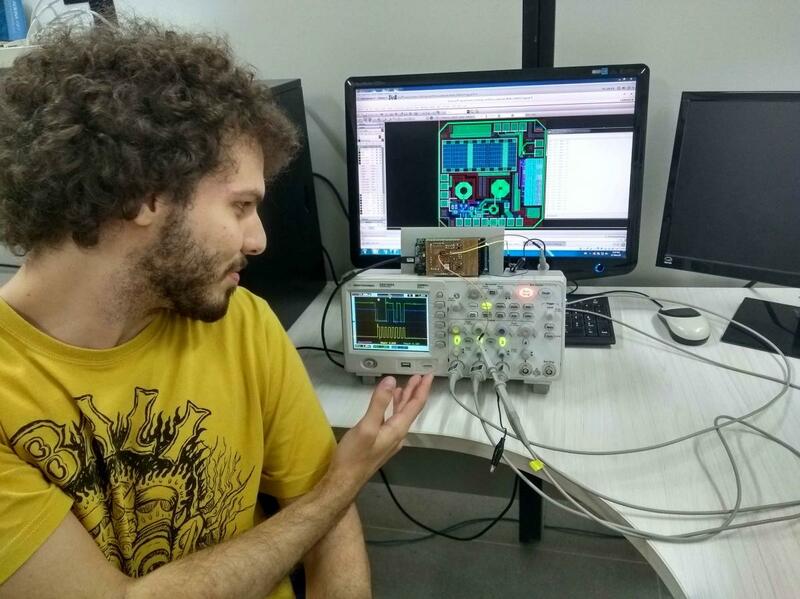 During his internship at RFWild, Danilo Cavalcanti received the tricky task of transforming System Verilog into (working) Silicon. 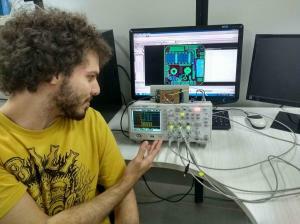 This was our first incursion into the digital world, and we are very glad to annouce that Danilo´s hard work payed off. 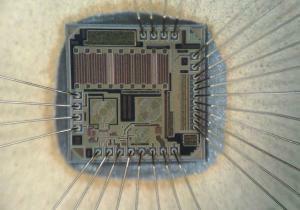 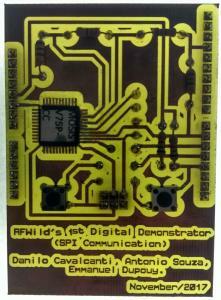 The SPI Controller was implemented in GF´s 8RF technology (CMOS 130 nm), and used ARM´s digital standard cell library. 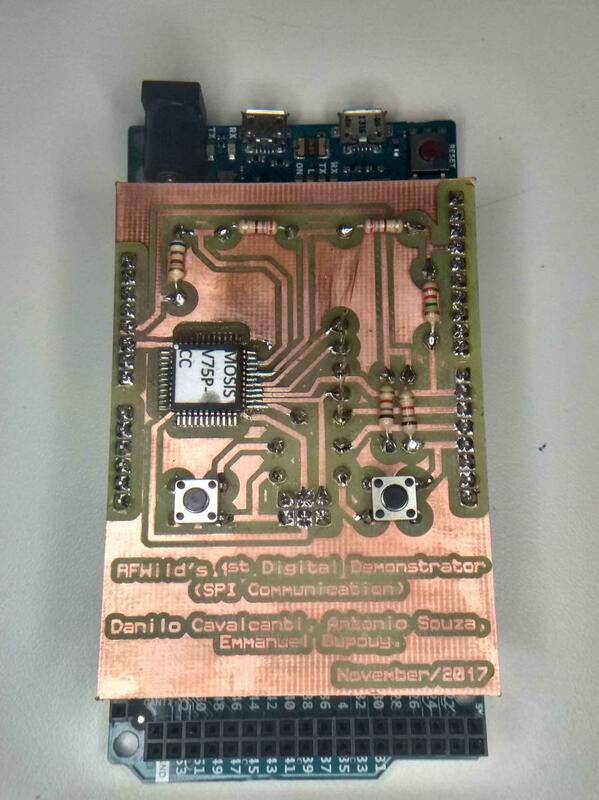 We have recently received the samples from MOSIS, and RFWild´s crew prepared an Arduino shield to demonstrate the (native) SPI transfers. 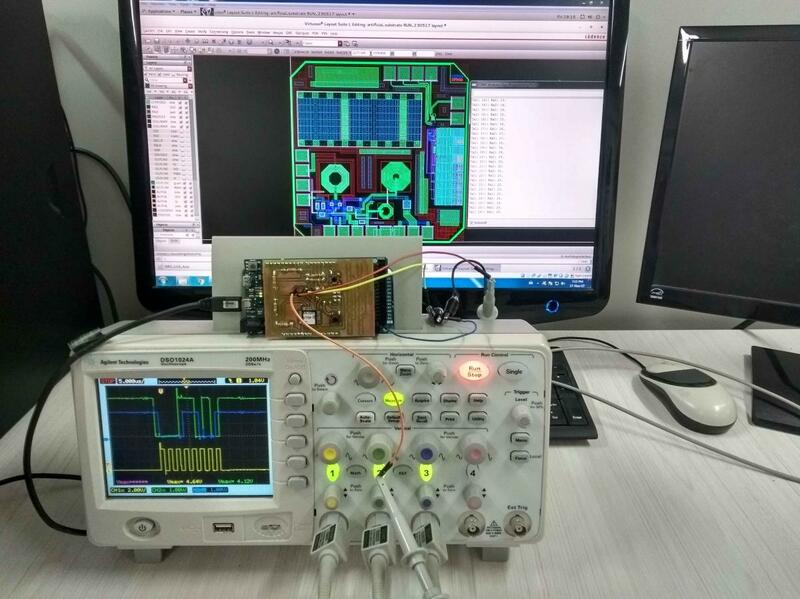 This SPI interface is used to program the control register of a PLL (and we are back to the GHz again… nobody is perfect!). 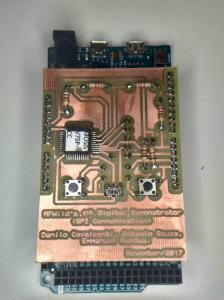 We are prepared and motivated to enter the exciting world of mixed-signal ICs! 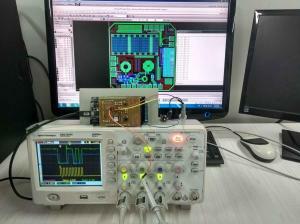 ← RFWild´s ready for 4-port measurements!